It was a hot, humid afternoon at Bayog, a predominantly fishing village on the shores of Laguna Lake in Los Baños, Laguna. 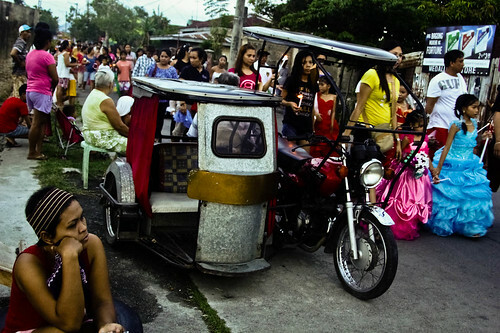 The rains have stopped just in time for the village’s version of Santacruzan. The sound of rustling waves, the somewhat salty breeze, boats floating in the distance set the backdrop for this simple procession. 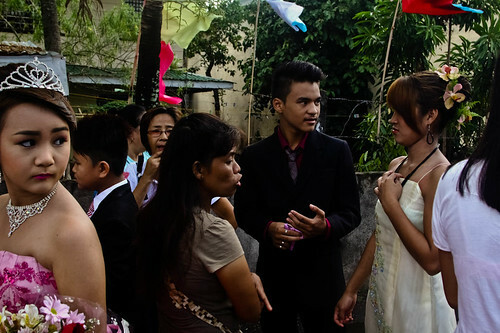 The whole neighborhood was in a festive mood, watching participants line up on the streets, straightening up their dresses and coats, fixing their hair, checking their makeup. 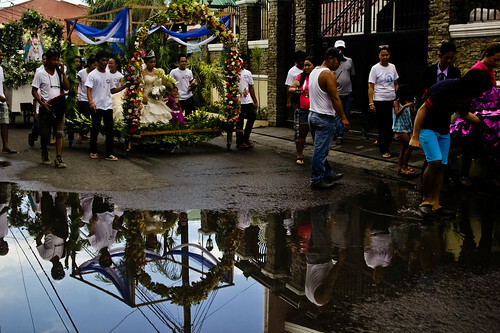 The Santacruzan is a popular Marian-oriented, religious, historical celebration, the highlight of the month-long celebration of Flores de Mayo (Flowers of May). 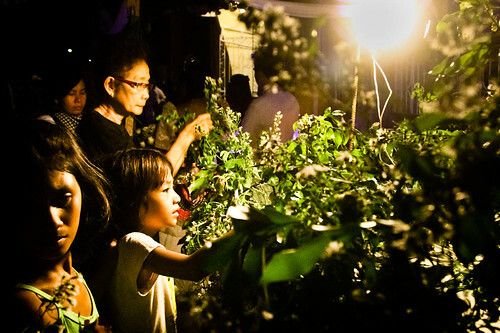 During this month, at least traditionally, children would bring flowers or baskets with petals to the church at night as part of the alay or offering to the Virgin Mary. 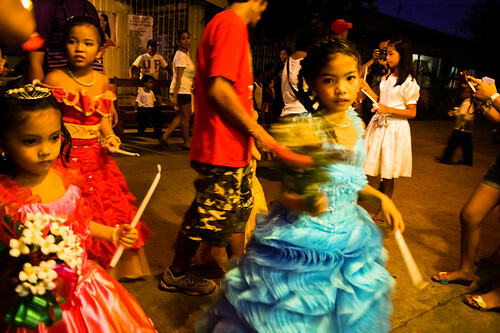 It is not uncommon to see children with candles parading in the early summer nights, with some sprinkling flower petals on the streets leading to the chapel. 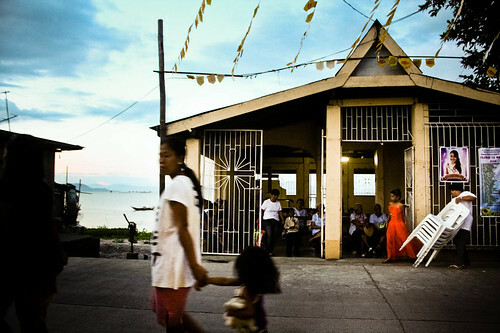 The elderly women of the town, the hermanas, say the novena. 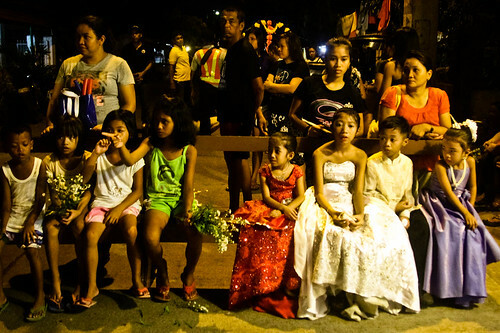 Toward the month’s end, the town’s young, good-looking maidens and bachelors are invited to participate in the sagala, a colorful pageant parade. The parade is part of a long procession that depicts the journey that Helena of Constantinople and Constantine the Great made in trying to find the Holy Cross in Jerusalem. 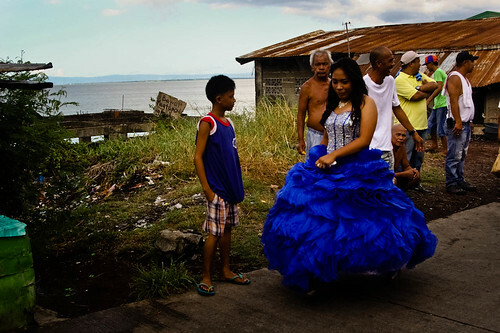 This Filipino tradition was introduced by the Spanish conquerors and still lives on even in Europe and America. 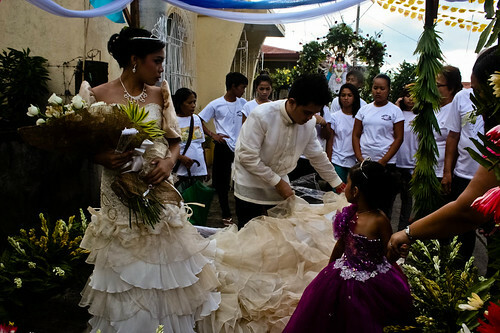 Where there are Catholic Filipinos across the globe, the Santacruzan is celebrated as glamorously as those done in their home country. 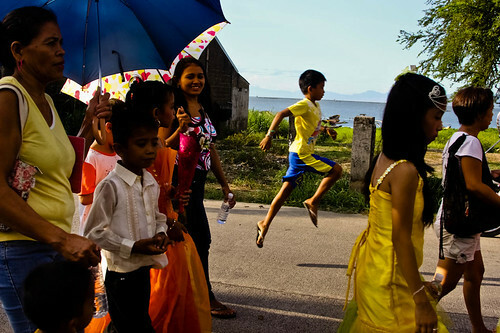 The Santacruzan in Bayog may not be as grand as those in other areas, but there is a strong sense of community among participants, residents, and the local government to make sure the annual procession is well supported and goes smoothly. Every year, the people in the village look forward to having a glimpse of the pretty faces and to celebrating the age-old tradition. 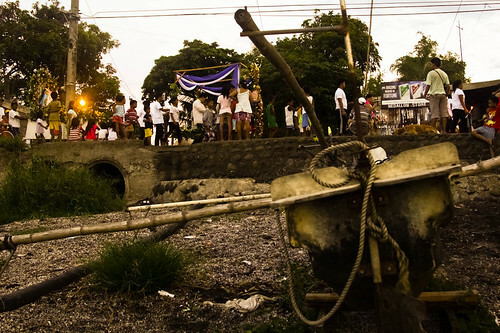 While most Santacruzans end when the procession returns to the church, in this village, it does not end just yet. Prayers are offered and a novena awaits participants and townspeople. It is a long journey, but it is worth the sacrifice. The night is still young. Kimmy Baraoidan’s website is www.kimmybaraoidan.com. 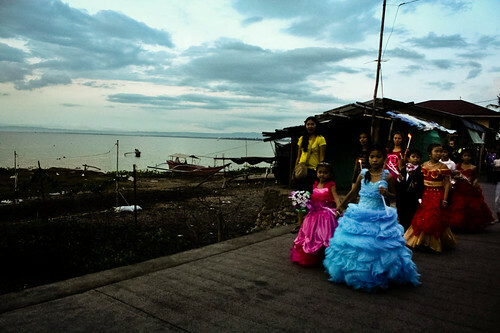 Chris Quintana’s website is www.chrisquintana.com.ph.